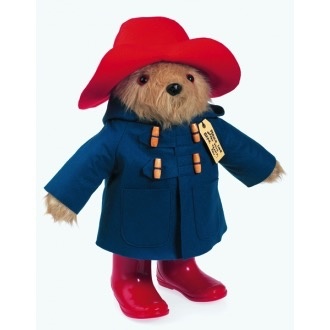 Vintage Paddington Bears wears his delightful detailed signature blue felt duffle coat with four traditional wooden toggle fastenings, a red hat and red Wellington boots. With long hair, Paddington comes with a special luggage hang-tag addressed to London England stating "Please look after this bear. Thank you". This vintage Paddington makes for a treasured traditional gift or collector item for Paddington fans young and old.